We’ve written a lot on this blog about the tragic result of San Francisco bus accidents. 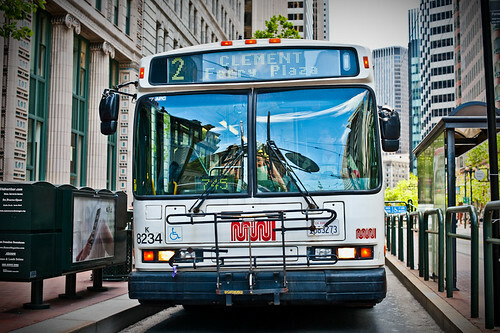 In the past, fatal Muni bus accidents have cost the city millions in lawsuit settlements, and most importantly, have claimed the lives of far too many San Francisco residents. Over the weekend, new city dweller Emily Dunn was struck and killed by a Muni bus in the city’s Castro District. The police report indicated that Dunn was struck 95% into the crosswalk by a Muni Bus making a left turn, an action that is commonly cited as unsafe. Earlier this year, Muni agreed to a record settlement of $5.36 million to the family of David Wheeler, a cyclist who was killed in a Muni accident near Ocean Beach. According to documents filed in the San Francisco Superior Court, the Muni operator Roy Timmons failed to stop before turning left and took an unusually tight turning radius. The description of this accident closely mirrors Dunn’s collision over the weekend. San Francisco should learn from last weekend’s tragic accident and implement measures to reduce dangerous left-turns among all Muni vehicles. If accomplished successfully, reducing left-turns would save the city a bundle in legal costs and more importantly, save lives of promising San Francisco residents.